Here's why you don't want to miss our Flatiron Food Tour this winter! Eisenberg's Famous Sandwich Shop now on our Flatiron Food Tour! We are so pleased to have this tiny but historic (and famous! ), classic New York luncheonette on our Flatiron food adventure. We truly do bring you the best of New York City ... especially on a fork! From a bygone era on Ladies' Mile, Eisenberg's Sandwich Shop is an institution. Located on Fifth Avenue just below 23rd Street and established in 1929, generations of family and friends have dined here. The Best New York Tours: Sometimes a guided tour is the way to go, even if you usually prefer to fly solo. It can be a great way to investigate out-of-the-way areas, to get an insider's perspective on where locals eat and play in the city, and to learn about interesting aspects of the city's history, inhabitants, or architecture. Whether you want the classic hop-on, hop-off bus tour to get oriented in the city or a more personal, interest-specific walk, you'll find it here. Some of the bigger tour companies offer discounts if you book in advance online. Like A Local. Walk like a local, talk like a local, and best of all eat like a local with a highly curated tour from Like A Local. Tours include the Flatiron Food tour, which is a lovely walk from the Flatiron District to Union Square with a lot of tasty stops, photo ops, local history, and private kitchen visits along the way. If you're looking to feel like a hip local in Brooklyn, take the Sunday Funday tour of Williamsburg. New York, New York. www.likealocaltours.com. Happy Holidays from Like A Local! Happy Holidays! We hope you will consider sharing our tours with a loved one. Give the gift of one of our 5-star rated food tours! And in the spirit of giving back, gift a tour AND a tree as part of the MillionTreesNYC Initiative! 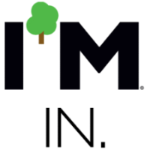 GIFT A TREE to be planted in NYC and receive a personalized certificate signed by Bette Midler! Give your loved one a chance to be a permanent part of NYC and help to beautify the city. We will handle all of the administrative work. The tree is planted through MillionTreesNYC & New York Restoration Project. Click here to gift a tour & a tree! The kindest gift: I know you already received a follow-up email after your tour to write us a review on TripAdvisor. And for those of you that did, THANK YOU THANK YOU THANK YOU. As a small business, TripAdvisor drives a lot of our bookings. If you enjoyed your tour, the food, or the guide, please click the TripAdvisor image to leave a review. If you don’t have a TripAdvisor account, not to worry! It’s one click to leave us a 5-star review on Google or Facebook. We really appreciate your support! 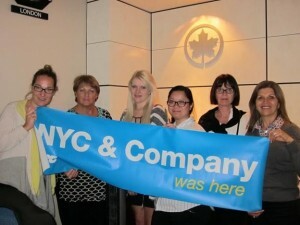 October 30, 2015 by eGlobal Travel Media: NYC & Company, in partnership with Air Canada, recently hosted four product managers from Venture Holidays, Qantas Holidays, STA Travel, The Travel Corporation and a representative from Air Canada, as part of its trade educational program, from October 11-16. The itinerary was designed to provide a New York City update featuring new attractions, tours and hotels, which have populated the city’s landscape over the past 12 months. New Trade Manager at NYC & Company, Kristin Hellmrich said, “Air Canada was the ideal partner as the airline has recently opened a new route to New York City via Vancouver complimenting the ‘new’ New York theming. It’s an exciting time to visit the city,” she said. Air Canada’s daily non-stop B777-200 flights from Sydney to Vancouver seamlessly connect with its direct flights to Newark Liberty International Airport, providing travellers with a comfortable and efficient way to reach New York. In addition, the airline operates to LaGuardia Airport and John F. Kennedy International Airport from its global hub at Toronto Pearson International Airport. “One of the many advantages of flying with Air Canada is that our passengers can effortlessly clear US Customs in Vancouver or Toronto, ensuring a hassle-free start to an unforgettable holiday,” says Air Canada General Manager Australia and New Zealand Paul McLean. 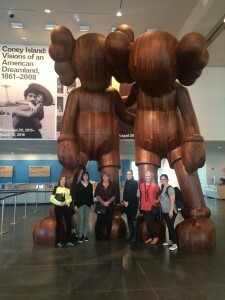 The group experienced the newly opened Whitney Museum of American Art, enjoyed Finding Neverland on Broadway and took a behind the scenes tour of Disney on Broadway with Walks of New York, which also guided the group through the 911 Museum and Memorial and up to the new One World Observatory. The Product Managers were hosted at the recently refurbished Loew’s Regency and the Roosevelt Hotel and were able to explore the newly opened New York EDITION hotel. From cycling through Central Park with Bike and Roll to The Metropolitan Museum of Art, to rambling through cobblestone streets in DUMBO with BQE Tours and discovering the Brooklyn Museum, followed by a walk along the High Line’s new extension, the group was able to explore a number of the City’s boroughs and neighbourhoods. Like a Local tours provided the inside scoop on the foodie scene around the Flatiron District while the Hilton hosted the group in sub-zero conditions at its minus5 ice bar. The Product Managers enjoyed breakfast at Norma’s at Le Parker Meridian as well as supper at The Surrey Hotel. The 2.5-hour tour with Like A Local Tours features the Flatiron District, named after the 21-story Flatiron Building on 23rd Street. These days, the neighborhood is sizzling hot, especially with the launch of Mario Batali’s artisanal Italian food emporium Eataly — where you’ll begin. From there, you’ll head to a little-known local burger joint, taste burrata pizza, watch cheese-making at a local cheese factory, and sample NYC’s best grilled cheese sandwich. Chocolate babka, an iconic Jewish pastry, will serve as dessert. Throughout the walk, you’ll learn about the history of the neighborhood, from the Flatiron Building — once one of the city’s tallest — to Union Square, which has always been a rallying place for political demonstrations. $50 per person. WHAT DOES IT MEAN TO BE A TOUR GUIDE OR TRAVEL AGENT FOR THE MODERN TRAVELER? Lilo Travel Blog September 27, 2015: What does it mean to be a travel agent or travel company for the modern traveler? Well, first one needs to know what defines the modern traveler - sometimes it's someone looking for the best way to go like a local, someone looking for thirtysomething travel ideas, or someone looking for modern ways to travel as a couple - most always, it's someone looking for better ways of planning authentic travel experiences. The modern traveler: I think the word that most defines today's modern traveler is savvy. Savvy travelers are looking for a hyper local experience. Sure they might want to enjoy some of the traditional tourist sights in any given city, but they also want to get to know a destination by doing what the locals do. I created Like A Local Tours to offer a sophisticated and immersive travel experience in Brooklyn and NYC. Our tours are taken by both tourists and locals so you know they are legit. Right now we focus on enjoying NYC's hottest neighborhoods through food. Our Williamsburg Bites Brooklyn Food Tour is a culinary journey with history, architecture, street art and some stunning NYC skyline views thrown in for good measure. Our tours focus on entrepreneurs and chefs that are influencing food trends globally which is exciting and delicious. Stops like Eataly, Shake Shack and Beecher's Handmade Cheese on our Flatiron Food Tour showcase the best that NYC has to offer. We also recommend our boozy Sunday Funday Brooklyn Tour and North Fork Long Island Wine Tour. You heard it here, folks - SAVVY, looking for a hyper local experience, and doing what the locals do. THAT is the essence of the modern traveler. Whether you are a tourist or a local, someone looking for an independent travel experience, or modern ways to travel as a couple, there are now a variety of ways to go like a local at your finger tips! 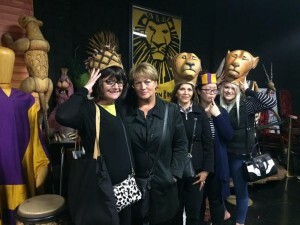 Thanks again to Like a Local Tours for your thoughts! Like A Local and Bread's Bakery featured in The Sunday Standard Magazine in India! Click here for the article in their online magazine..
Don't miss our Flatiron Food, History & Architecture Tour! Flatiron Food Tour in I JUST WANT TO EAT food blog! We were thrilled when blogger I Just Want To Eat joined our gourmet New York Food Tour of the Flatiron District! Here is some of what he had to say: It has been a while we were talking about going on a food tour, when I received an email inviting us to one of the tours organized by Like A Local Tours, a company that proposes food tours in the Flatiron area as well as Brooklyn. We decided to try the Flatiron History & Food Tour. Ok, I admit that I was more interested by the food than by the history, but was in fact quite pleased to learn a bit of the past of this area I often visit. It was also a good occasion to take the time, in this fast paced city, to stop and admire the architecture of the buildings we passed so many times in front of, without even noticing how beautiful they were. Click here for the amazing photos and great article!